There is no more joy than finding out that you are going to have a baby. You spend hours planning for the baby to finally arrive - from clothing to decorating a nursery, never dreaming of any kind of news that can change the overwhelming joy to overwhelming fear. That overwhelming fear and stress took over what had been the most exciting time of my life to date. Since having Brianna, I have had 2 of the most frightening times in my life. One in August of 2017 and the other was days after Brianna was born. September 17, 2006, I was pregnant with my first child. I was bursting with excitement. 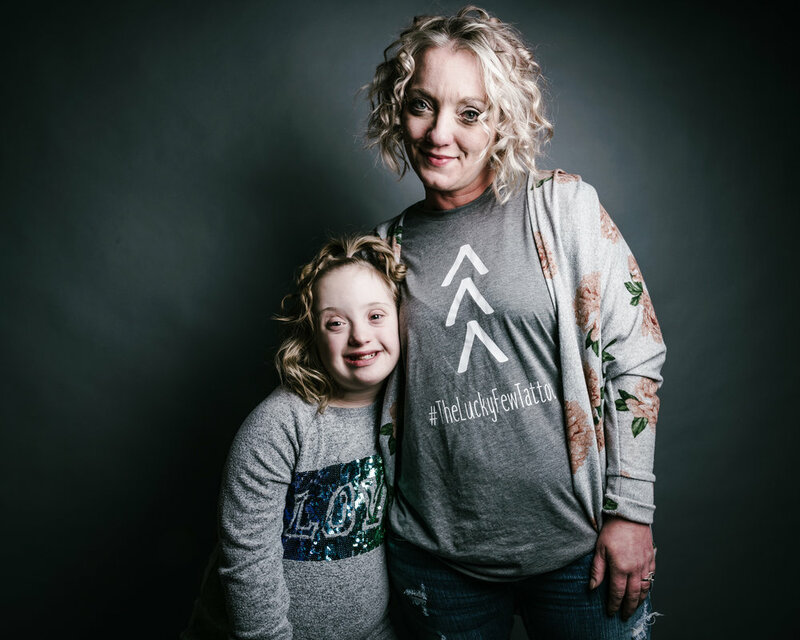 I found out I was going to have a girl and then shortly after, I received a phone call from the doctor telling me that my unborn child has Down Syndrome. He requested that I come to the office with my support team...that call collapsed me with tears that would not stop coming. February 20, 2007 was the day I was to have Brianna. I was told that there was a strong chance that my baby girl could be stillborn. Finally, the next morning, February 21, 2007 at 11:19am my beautiful, big eyed, most perfect baby girl was here. At first she was doing great, but then she turned gray, and she was rushed away from me. As I had just given birth, I was still being tended to by the nurses myself so I couldn’t get up and run after my baby and the staff to find out what was going on. I had to ask a million questions. Finally, I was informed that Brianna was in the NICU. She had 2 VSD’s (Ventricular septal defects) and 1 ASD (defect in the septum between the heart's two upper chambers) in her heart. Oxygen had to be fed with a tube. After a 14 day-stay in the NICU, I was finally taking my Brianna home, the day I had dreamed of since finding out I was pregnant. But, the day did not come with the normal joys or normal worries of a first time mother. I questioned myself... was I even capable of taking care of this child? Was she going to be ok? What happens if I cannot take care of her? So, over the first year of her life, I answered my own questions. I was able to take care of Brianna. She is okay, and when we have struggles, I have an amazing support circle always there to step in to help. I have watched Brianna grow in every way; physically, socially, and academically. It is hard to remember the thoughts I had as she entered Kindergarten, but she performed amazingly and still does. Within a few months she was writing her name, counting, signing many words, and was incredibly social. Her classmates would even argue over who was going to help or play with Brianna. Brianna has rockstar status when she enters the school building each day. You hear….”BRIANNA!” and they rush to give hugs and high fives. Brianna is always included with her friends at recess and when they work together in the classroom. She is loved by her peers. I also have a son Jesse who is just 1 year younger than Brianna. Like any brother and sister, they fight like cats and dogs. But Jesse and Brianna also have an incredible bond. They will play games, watch movies together, and after a long day at school, they manage to find each other and hug. You can’t help but see how special the two of them are together. So here we are - 11 years, 2 kids, and many ups and downs later. The next scariest moments of my life happened last year. Once again, I was scared out of my mind having to leave that hospital with that same little girl, who is now a type 1 diabetic. I was asking myself the same questions; can I take care of the precious little girl? Was she going to be ok? At 11 years old, Brianna just held my hand leaving the hospital probably wondering why I had to poke her with needles 6 to 8 times a day. Brianna had no idea that her mom was just as scared as she was. I fought back tears and worry and knew down deep that with the amazing love and support we have always had, that we would both be ok even though I was as deathly scared as I was taking home a new baby with Down Syndrome in 2007. Once again I have answered my own questions. I CAN take the best care of my daughter. We are in the early stage of diabetes, but we are getting there. Brianna is a trooper through it all. Which makes it just a little bit easier through our process of daily treatment. The pastor of our church, Pastor Brent, said we always have angels by our side in hard times and I truly believe she’s my angel by my side helping me get through the mountains I have to climb. I thank God every day for this little girl and the things she’s shown me through her eyes. I have learned through both those times and all my years with Brianna, that I have one amazing, brave, sweet girl. Brianna shows me all the time what life is really all about. Brianna is a thriving person. She amazes me every day. She is as capable as anyone can be. She loves to dance and perform. Going to dance class is one of her favorite things to do each week. She is my sunshine on my most rainy days. I am so proud to be Brianna’s mom. Brianna spreads smiles and sunshine in everyone’s lives that she touches. Down syndrome is a blessing to me, not a burden in any way! I was given Brianna for reasons unknown. I know that I am one lucky mom!